Christmas Truck Snow Globe cross stitch pattern by Shannon Wasilieff. An upside down mason jar houses this cute little red truck carrying a Christmas tree home in the snow. 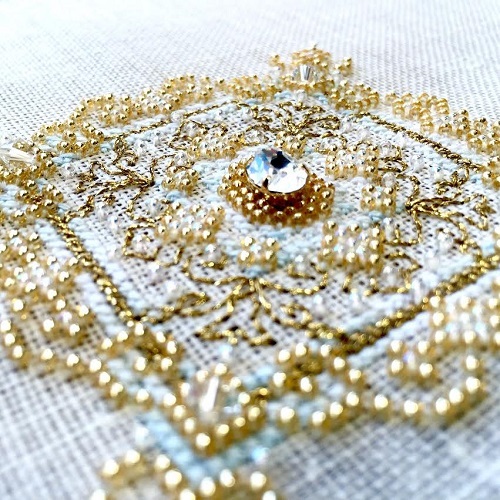 Pattern stitch count is: 70w by 68h and uses DMC, Kreinik and Mill Hill beads.